What Are We Playing This Week? For me it was kind of the same as usual – got back into some Outcast: Second Contact, got my initials onto the leaderboard for JPO IN SLC, played a little Big Buck Wild, played more The Legend Of Zelda on the NES (beat the 1st quest and started on the 2nd), and some 2p co-op Asteroids with my daughter on the Atari 7800. PAYDAY: The Animated Series is out now on VHS and Betamax! Finally kids and adults alike around the globe can start their criminal career as professional heisters! Join Dallas, Wolf, Chains and Hoxton as they go on radical adventures and have a supertastic time every saturday morning! If you heard about one, let us know in the comments below. Eye Tracking Tech The Key To VR’s Salvation? – My humble opinion, nope. But it doesn’t hurt. The National Videogame Musuem Gets Their Hands On An Extremely Rare Atari Space Race Prototype – This was Atari’s first game after PONG. nVidia Touts New Raytracing Tech With RTX – Last week we shared a video of Unreal Engine 4 handling real-time raytracing and nVidia is right there with support for it as well. If this keeps up, then it is likely that raytracing will finally have it’s day in the Sun in the next couple of years. Although my NUON DVD player from 2000 could do that so I’m not entirely sure why they waited so long to really get behind it (probably wanting processor power to get to that level where it could be used like we see below; I also recall Intel showing off some real-time RT graphics tech several years ago but it came and disappeared too). For what you see here, you need a Volta-GPU but there aren’t any of those made for the consumer market yet so…2020 maybe? We are happy to announce our collaboration with NVIDIA using RTX technology to include real-time ray traced Global Illumination in our upcoming game, Metro Exodus. This demonstration shows RTX implemented and running in Metro Exodus, on our proprietary 4A Engine, using actual game content – you might recognise this environment from our 2017 E3 trailer! PC Building Simulator Storms The Master Race Scene – Everywhere I go this week, I’m seeing one article after another praising the new PC Building Simulator software. I certainly would have enjoyed this back in my days of training noobs for tech support at eMachines/Gateway. CHANGING THE WORLD WITH OUR EPIC PC BUILDING COMPANY – PC Building Simulator Release Gameplay Subscribe if you like! + http://bit.ly/1PG8z9G The time for PC-ception has come. We must use our PC…to build a PC…while you watch on your PC. Mike and Jay watch “Ready Player One”. SPOILERS!!! Support Shiryu on Patreon: https://www.patreon.com/Shiryu Donations are welcome: https://www.paypal.me/ShiryuGL —|Shiryu Music|— Bandcamp: https://shiryu.bandcamp.com/ Soundcloud:https://soundcloud.com/shiryu Facebook: https://www.facebook.com/ShiryuMusic/ Twitter: https://twitter.com/shiryumusic —|Shiryu Games|— Facebook: https://www.facebook.com/ShiryuVideoGames/ Twitter: https://twitter.com/shiryugl Game collection: http://shiryugames.odrakir.com/ Thank you for visiting Shiryu @ YouTube! Hope you find me video gaming memories a useful resource and/or enjoy my music producing hobby. We’ve unlocked Gridrunner for Jeff Minter Classics on the Atari Jaguar! Last fall we released Jeff Minter Classics for the Atari Jaguar, containing two of Jeff Minter’s most popular classic computing titles: Llamatron: 2112 and Revenge of the Mutant Camels. How Free Speech Dies – Microsoft Banning “Offensive Language” On Their Platforms – It may be due to a bill passed by Congress though but hard to say anymore. Microshaft’s Windows 7 Meltdown Patch Made Things Worse – But watch what you’re thinking you clever ignoramuses! Got $400k To Spare? nVidia Has The AI Computer For You! A Third Of F-35s On The Chopping Block? Come chat on our Discord! : https://discord.gg/PApp82h * AMD: https://goo.gl/jgip3M * Raspberry Pi Zero 3: https://youtu.be/h3JptwPMNOM * Paul’s Hardware: https://youtu.be/ftkCjpRZ6jw * Razer: https://youtu.be/j8UJE7DoyJ8 * LinusTechTips: https://youtu.be/18tgsQEj_Jk * Gamers Nexus: https://goo.gl/f8keHv * Nvidia: https://goo.gl/rrqNnM * MKBHD: https://youtu.be/rsJlT53jU_4 * Lexus: https://youtu.be/s0Uxzh1E94U * Tesla: https://goo.gl/GZH5cH Thanks to MSI South Africa for sending the GT73VR with me to the US. 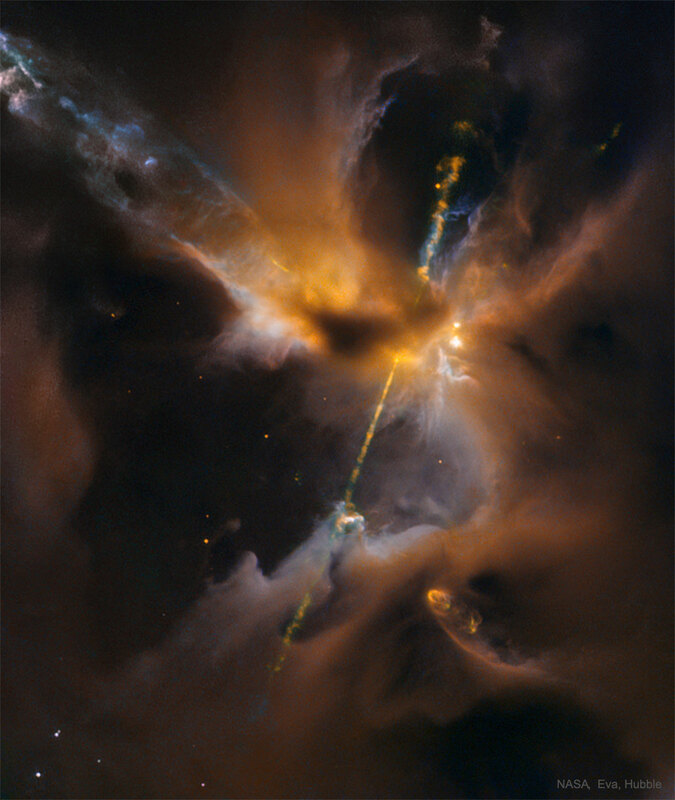 Space Pr0n Of The Week: Particle Cannons From A Star: 1300 llight-years in the Orion stellar nursery region lies a protostar still going through the birthing process. As such, it gives us some interesting views and events to witness, such as these streams of particles shooting out the ends. This photo spans half a light year across. Who Is Ready for the Google Video Game Console? !